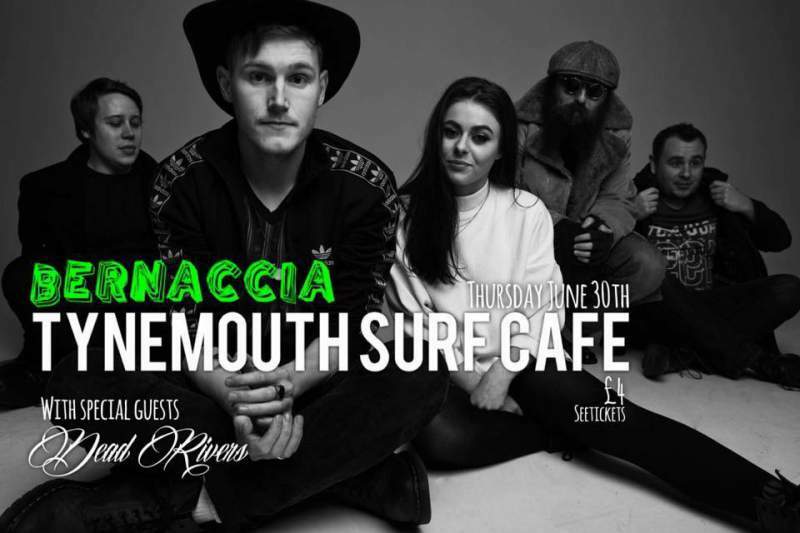 The blues fuelled psych rock of Bernaccia is set to wow Tynemouth’s Surf Cafe for the very first time on Thursday 30th June. The band will release a new album and tour off the back of that in September, so this is their last headline show before then, which means it’s sure to be an incredible and intimate gig. The five-piece are a band continually on the rise, and news of a new album is something to get very excited about. With the show set to be filled with their usual pulsating riffs, and psychedelic, twisted melodies, the quirky venue is the ideal backdrop for an intelligent and sharp bunch of songwriters. There’s high hopes for the new release to be something spectacular, as their dark and edgy sound offers ups so much. With support from Dead Rivers, who’ll show off their deliciously crafted and captivating sound, a summer show down the coast will be making a big splash. Bernaccia and Dead Rivers play Surf Cafe, Tynemouth on Thursday 30th June.